The end of the year is almost here. Once again it’s time to make that list of resolutions, changes we plan to make in the hope of becoming new and better versions of ourselves next year. The same practice holds true for the auto industry, where rolling out new and improved makes and models each year to attract more buyers has become a much-needed tradition. In times past, many of the heralded “new and improved” features found in new car models seemed to be more about changing style than adding substance. But that’s all about to change. Thanks to rapid advances in technology, the analog era of automobiles is about to give way to a future that seemed like a dream just a decade ago. Ready to find out what new car technology will bring for 2016? Better fasten those seatbelts because you’re in for quite a ride. Shedding extra pounds has always been at the top of just about everybody’s New Year’s Resolution lists, and the car industry is no different. Thanks to technological advances in design and construction, the excess pounds that cars have piled on for decades in the form of new gadgets and safety features are being rapidly shed in 2016. And weight loss translates into better fuel economy and performance. Ford introduced its successful weight loss program in 2015, when the F-150 dropped 700 pounds compared to the 2014 model. Now other manufacturers are weighing in. Mazda’s 2016 Miata is down 148 pounds. By using more aluminum the all-new Chevy Camaro dropped 200 pounds compared to its predecessor. And by using reinforced plastic and incorporating fiber—sturdy lightweight carbon fiber—into its diet, BMW’s new flagship 7-series lost 190 pounds. The goal to simplify our lives and get in better sync with things is a resolution that automakers share with today’s drivers. And when it comes to simplifying and integrating tech into the driving experience, a number of car manufacturers have gotten proactive by dropping their own complex and counterintuitive infotainment systems in favor of user friendly systems such as Apple’s CarPlay and Google’s Android Auto. Unlike the pre-programmed software found in many cars, these systems sync effortlessly with driver’s phones and run consistently regardless of what car they are installed in. For 2016, all Chevy and Hyundai models will be fully compatible with CarPlay and Android Auto. Having more energy to do more of the things we want is another New Year’s Resolution favorite. For drivers, this means getting more exercise and for car manufacturers it’s about exercising the right to install turbo chargers in models with smaller engines. On the high end, Ferrari’s new 488 GTB features a twin turbo-charged mill boasting 660 horsepower. At the other end of the spectrum you’ll find Camaro’s 275 horsepower turbocharged 2.0 liter four cylinder power plant, which Chevy claims makes the 2016 version of this popular car the most fuel-efficient yet. Today’s forced induction turbo charge technology combines economy car savings with muscle car power. Drivers in highly congested traffic areas such as New York City and Los Angeles may or may not resolve to control popular rush hour gestures next year. But automakers are taking advantage of motion sensor technology to allow drivers to control stereo, HVAC, and Bluetooth systems in their cars with body movements. 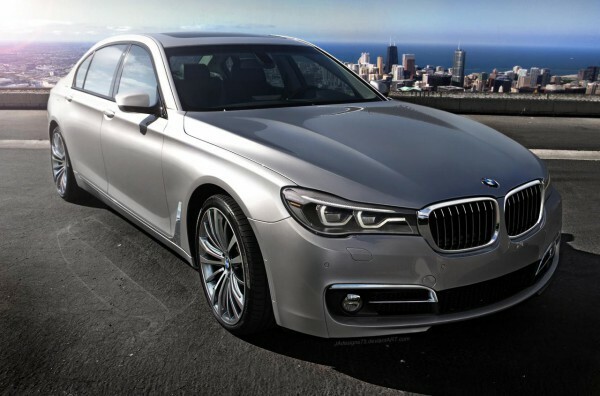 Once more, BMW has trumped other brands by installing gesture control systems in its 7-Series cars for 2016. And while it may take a while for other manufacturers to catch up, there’s little doubt that gesture control will someday come standard on less pricier models. Being more independent and self-reliant is a worthy goal for anyone. And when it comes to cars, a new generation of automatic or self-driving cars is just on the horizon. Just a few months ago, the electric carmaker Tesla demonstrated just how close fully autonomous driving is with a software upgrade that installed the Autopilot system into the hardware of many of its most recent Model S and P85D automobiles. Already known as a leader in electric car technology, Tesla appears to be leading the pack in the autonomous race as well. Autopilot, according to Tesla founder Elon Musk, allows drivers to travel long distances—say from San Francisco to Seattle—while drivers touch almost no controls at all. Following in Tesla’s rearview you’ll find the Mercedes S-Class with Intelligent Drive cruise control and, once again, the BMW 7-Series with its own proprietary Active cruise control system. As technology continues its rapid advance, the features found in many 2016 car models will pale in comparison to the revolutionary models lurking just a few years down the road—models made with a resolution to change the auto industry forever.